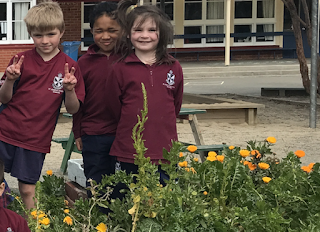 Our environment leaders Lily and Levi have been thinking about how we will manage our school garden in term 4. Lily has been out with the junior school weeding and preparing for planting next term. Mrs Jones-Hogan and myself went to our first meeting in the Enviroschools project and we're looking forward to becoming more involved in our local environment and developing our school understanding of sustainability over the next few years. Responses to your surveys will be presented to the board in the first board meeting of term 4. The board will consider the feedback/forward and some selected ideas presented back to the community for further consideration. 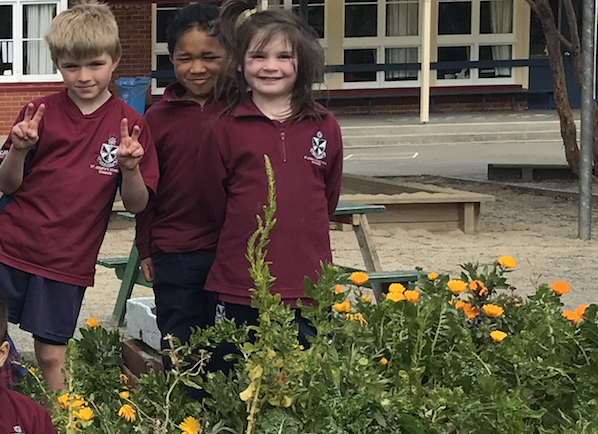 The final decision on any changes will be made in term 1 of 2019. As we start preparing for year 8 camp it's a real reminder of our community. Once again Dennis Brown is guiding our expedition. Dennis has been doing this for St Joseph's for about 20 years and remarked the other night, "It's my school, my community." It's fantastic to have these connections and supports in our wider community. A big thank you to Jeremy and Louise Dyson who have donated 30 pack liners for camp, that we can keep for future camps. We have recently reviewed our reading curriculum. Children don't learn to fully discern the value of texts until they are working at level 4 which is year 7 & 8. That means they are not equipped to do meaningful Internet searches for research until this level. It also means that they MUST know how to do it at level 4. That is why we have limited devices up to year 7 and in year 7 & 8 we ensure that the school provides every child with a device for the times they need it for learning. Both our year 7 & 8 classes have had lessons on Cybersafety from Constable Carrie Hamilton in the last couple of weeks. They are also specifically taught how to use the Internet as a tool for learning. IF YOU ARE HAVING TROUBLE WITH OVER INDULGENCE IN THE INTERNET AT HOME - our computer technician Andy McKee can help you. He can install something which cuts the Internet off for your children at a certain time, but not for you. He is happy for you to contact him on: 021504180. Postpone access to devices - we are finding children coming into school are having difficultly tracking from left to right with their eyes as they are used to their eyes moving around on a screen. That means it takes a long time to be ready to read. Limit the time on devices. Keep them in public places in the house. The light from devices stops the sleep hormone Seratonin so they should be put away a good hour before you hope for your child to sleep. A reminder that Waitaki Library is open during the holidays. Even young children can have a library card and it gives them a great sense of responsibility. There are lots of fun activities planned at the library and Forester Gallery in the holidays. Check them out: Holiday Fun. Thursday 27 September is the Feast Day of St Vincent De Paul. He died on this day in 1660 aged 79 years after a life of compassion, humility and generosity. He devoted his life to serving the poor. In 1833, Frederic Ozanam started the Society of St Vincent de Paul, which still exists today and has conferences (groups) throughout the world, including many of the parishes in the Christchurch Diocese. Today the Society of St Vincent de Paul operates charity shops, and coordinates distribution of food and funds to those in need. We thank you Lord, for this term. For the challenges, the successes, and the mistakes from which we have learnt. Elias Maher, Ziah Rollan, Ava Harrower, Adriana & Iverson Wylie-Taukolo, Lavina Ma, Troy Chikowore, Mariah Cunningham, Paddy Spillane, Stephanie Morondoz, Kenton Tokai, Ashlyn Marshall, David Kilgour, Paige Geypen, Xiao Hui Li, Mia Catalan-Gomez, Analiese Whiston and Liam Lindsay. Tomorrow our Singing Cup solos and groups will be held in the morning with house choirs and presentation of trophies at assembly starting at 2.00 pm. There will be no presentation of school certificates this week. Thank you to the parents who have contributed their $10 towards the food fair. If you have not paid your $10, please internet bank it to St Joseph's School Home and School, bank account 03 0937 0221742 00. Use your name as reference and put Food Fair. Our cake wheel list is slowing getting filled up but we still require 12 more cakes/slices to be donated. Please email the office or write your name down on the list outside the office. FoundThere are 4 scooters in the caretakers shed which have been there for a while. If they are yours, please come and claim them. A phone has been handed into the office this week as well. This lunch option will not be available next term as it was only for the winter months. We are having our school photos on Tuesday 16th October (first Tuesday back) in their summer uniforms. Family photos will be taken from 8.15 to 9.00 am in the hall or the junior school playground. Class photos will be taken from 9.00 am. The summer uniform is to be worn next term and don't forget to bring your hats. The shop will be open on Monday 15th October from 8.30 to 9.00 am for anyone wanting summer uniform items. Hardball Cricket - will be trialled on a Thursday night starting at 4.30 pm next term and will likely start after Labour Weekend. Practice days will be advised next term. Softball Cricket (Primary Grade) - at this stage we will not be fielding a team next term due to lack of numbers. Superstar Academy - this skills session will start on Saturday 3rd November from 9.30 to 10.15 am for children aged 5-8 years. Other ages are welcome to join in if there is enough players and you will be put into separate groups. Friday Night Cricket - will start up again in term 1. These are the team lists for touch rugby for next term. If for some reason, your child is not going to play, please let Mrs Brien know asap otherwise these teams will stay as they are. Hard copies of the team lists and notice went home to each family on Tuesday. When you sign up to play a team sport, you are committed to that team to play each week unless you let the coach know prior. When you do not turn up for your game or you arrive late, you are letting your team down so please ensure you arrive on time. Last term there were instances where one team could not start a game due to players not advising their coach they were not playing or running late. A team contact list will be sent home next term to ensure everyone is contactable. If your child needs a ride to the grounds, please contact someone on your list. This year the touch season commenced in term 1 and continues in term 4 so teams are to remain the same for both terms 1 and 4. There have been some players added and withdrawn from teams so I have altered some teams. Your child has confirmed to me they would like to carry on next term or is a new player wanting to play touch for term 4. The cost for new players for term 4 is $10.00 and this is to be paid by Tuesday 30th October but if you have played in term 1, it will not cost anything as you have already paid. There has to be a minimum of 2 girls in each team. Touch is played on Tuesday afternoons at Whitestone Contracting Stadium. The first game of touch rugby is on Tuesday 23rd October (second Tuesday back in week 2). Games are played at 3.45pm, 4.15pm, 4.45pm and 5.15pm. Teams are made up of Year 1 – 3, year 4 – 6 and year 7 - 8 depending on availability of players and coaches. The last day of touch for this season is Tuesday 4th December. Coaches – We have two teams that require coaches. Older brothers and sisters we would love for you to coach!! If you can co-coach with another parent or take turns turning up each week, please let Mrs Brien know if you can help. I have a set of basic rules which can be emailed or printed off for you. Coaching Skills Session there will be a free coaching session for new coaches or coaches who want a refresher course held on Tuesday 16th October at 4.00 pm at Whitestone Contracting Grounds. They will go over the basic skills needed to play touch rugby. 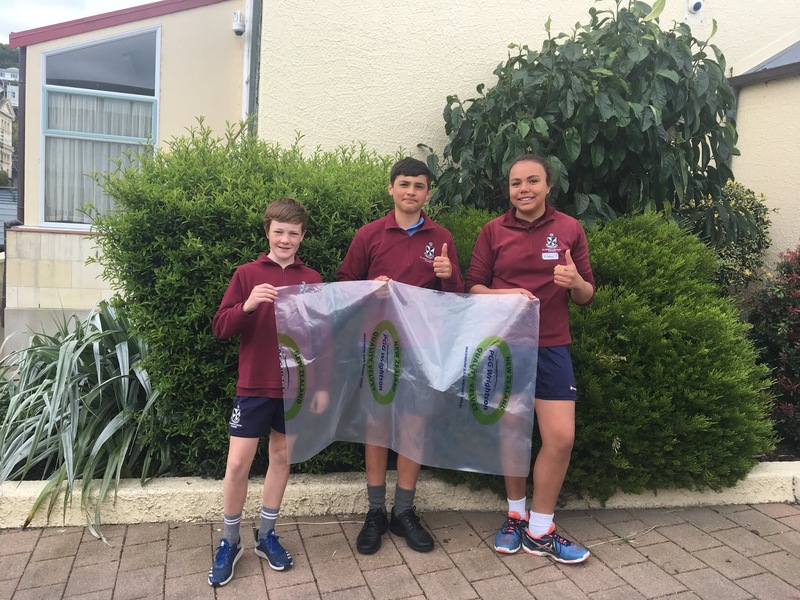 This term, North Otago Touch is changing some aspects of the way Junior Touch is run. 1. Duty schools. A requirement of having teams play Touch is that schools will need to provide a small number of people (2-3) to be “on duty”. This will be rotated around schools and means that each school will only be “on duty” once per term. 2. Learning the requirements of being on duty. On Tuesday 16 October 5 – 5.15 pm (same day as “Coaching the Coaches” and straight after) there will be a quick run-through of what to do when on duty. It would be great to have one parent from each team attend this. 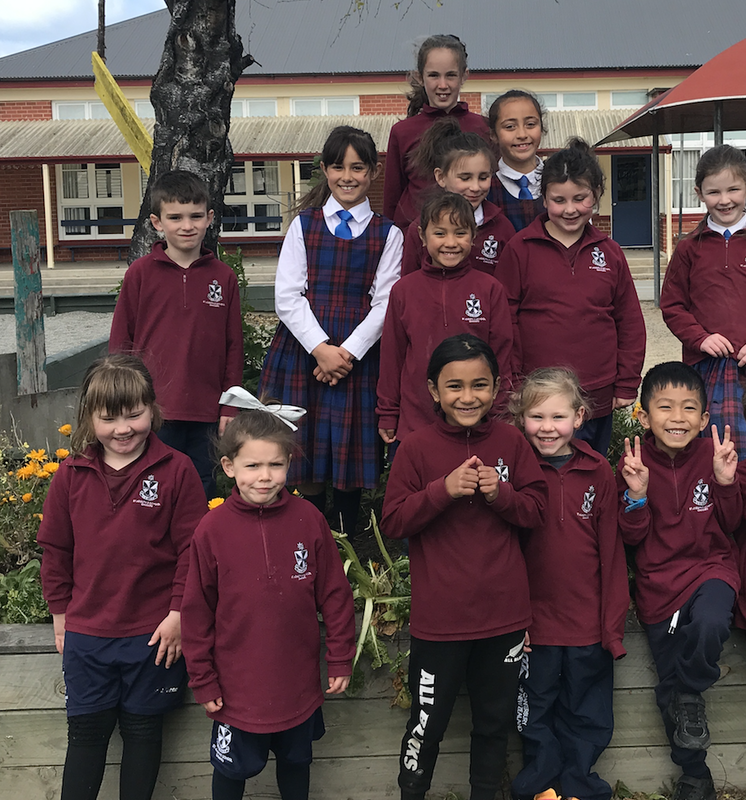 If you have any questions please contact me via the school office or by email at sport@stjoseph.school.nz Thanks Paula Brien, Sports CoOrdinator. Coach – Justin Fowler ? Co-Coaches Charmaine Fisher and ? Forrester Gallery & Oamaru Library Spring Holiday Fun - see the attached flyer to the email for what is happening in the holidays. Also don't forget to view our children's school artwork at the Forrester Gallery during the holidays.